As well as our special programs, there are some special associations we are fortunate to be a part of at East Bentleigh Primary School. These include Scientists in Schools, Maths Association Victoria and the History Teachers' Association. 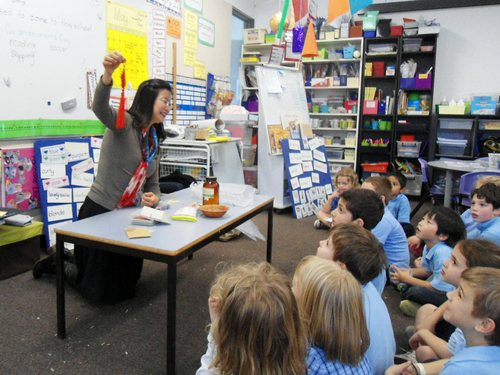 Scientists in Schools is a national program that creates and supports long-term partnerships between primary or secondary school teachers and scientists or mathematicians. At our school we are fortunate to have a partnership with Dr Shirley Shen, a doctor of chemistry who comes to school and works with the children sharing her expertise and enthusiasm. In the past she has joined us on excursions to the CSIRO where she works, spoken to the children about her work as a scientist and joined the children in the classroom as they investigate minibeasts, crystal making and materials. The Mathematical Association of Victoria is an association that provides a voice, leadership and professional support for mathematical education. Through their program and services they aim to promote mathematics, mathematics education, and its importance to society. Through our membership, we have access to some excellent resources, as well as having a number of very inspiring professional development days for our teachers. 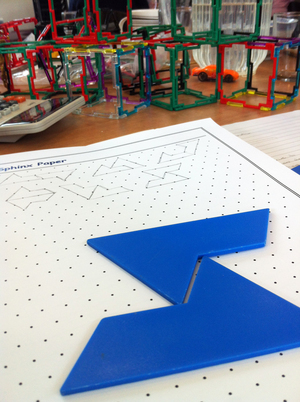 Our recent one was about teaching the children to 'think like mathematicians' – thoroughly enjoyed by the teachers and subsequently being enjoyed by the children! Find out more about M.A.V. here. The History Teachers' Association of Victoria is committed to fostering an outstanding professional community which meets the challenges of the teaching and learning of history in a dynamic environment. Our membership of Association allows us to access a huge range resources which are aligned with the National Curriculum as well as teacher professional development and research articles. Find out more about the History Teachers Association of Australia here. In addition, our school has access to a wide range of online teaching and learning programs including Mathletics, Studyladder and Reading Eggs.